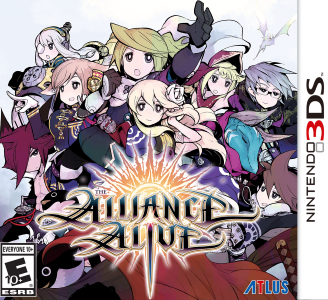 The Alliance Alive is a Japanese RPG (JRPG) for the Nintendo 3DS, developed by Cattle Call and published by FuRyu in Japan, and Atlus in the United States. It uses turn based battles and an overworld map. It follows a group of heroes as they fight against the Daemons, a race of beings who blotted out the sun a millennium in the past. The Alliance Alive runs fairly well in Citra. The title menu, opening video and other videos seem to slow down between 10-40%. Actual gameplay however, appears to do much better. Running around the opening town, opening overworld map and the first battle, didn’t cause any slowdown. The game ran 99% or 100% speed. Only the first five minutes or so have been tested so later parts may have issues, but the game appears to be playable now.